B.C. 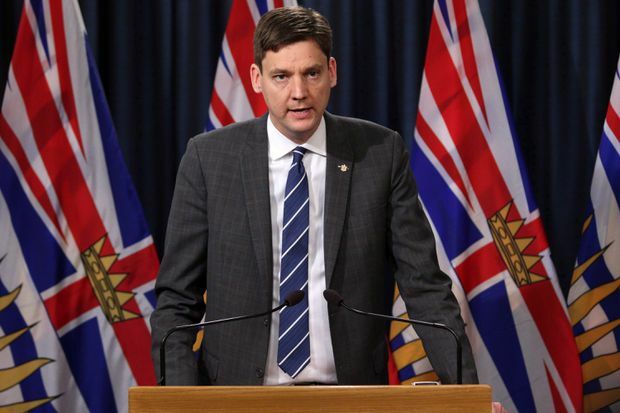 Attorney-General David Eby says public needs answers about how the RCMP’s Project E-Pirate fell apart. British Columbia’s attorney-general is pressing Ottawa on whether police and prosecution have the capacity to handle large-scale financial crimes after the collapse of a money-laundering case allegedly involving hundreds of millions of dollars. In Ottawa, Public Safety Minister Ralph Goodale told reporters he is working to close the gaps in resources that he says can be blamed on funding cuts to the RCMP by the former Conservative government. B.C. Attorney-General David Eby said he believes Ottawa now understands the problem, but the public needs answers about how the RCMP’s Project E-Pirate fell apart. The RCMP confirmed last week that on the eve of a trial, charges had been stayed in a case that focused on an organized crime group believed to be laundering large amounts of cash through B.C. casinos. Three years ago, RCMP raided the offices of Silver International Investments Inc. in Richmond, B.C., leading to criminal charges against the company and its two principal operators, Caixuan Qin and Jain Jun Zhu. Mr. Eby said early indications point to insufficient capacity, within both policing and the enforcement arms of government, to deal with large-scale financial crime. “The surprise for me is when we have a major prosecution under way at the federal level, and it is such a high-profile file, that it could collapse like this and there wouldn’t be any answers for why that happened," he said in an interview. The issue of policing and money laundering was raised by British Columbia last month at a meeting of federal and provincial justice ministers. “I’m anxious to work with other provinces and all levels of law enforcement to make sure that we plug the gaps, we correct the deficiencies in the system and we have a vigorous assault upon this kind of crime,” Mr. Goodale said. Figures obtained by The Globe and Mail last year showed the number of federal RCMP detectives working in Ontario, Quebec and B.C. fell to 2,100 positions in 2017 from 2,500 in 2011. These specific declines worked out to a 12-per-cent staffing reduction in Ontario, and 17 per cent in B.C. and Quebec. Another problem has been the RCMP’s tendency to starve some investigations to feed others. For example, when the threat posed by the so-called Islamic State group peaked in 2014 and 2015, the police force sidelined 320 other major investigations to bolster its counterterrorism capacity. “Since the terrorist attacks in Canada in October, 2014, high-priority, national-security investigations have diverted resources away from organized-crime investigations, including those focused on major drug trafficking and money laundering,” reads a briefing note from the time. In a 2016 case that may parallel the one now happening in British Columbia, federal prosecutors walked away from dozens of charges against alleged Quebec gangsters, a decision that amounted to the sudden scuttling of the biggest Canadian organized-crime prosecution in recent memory.